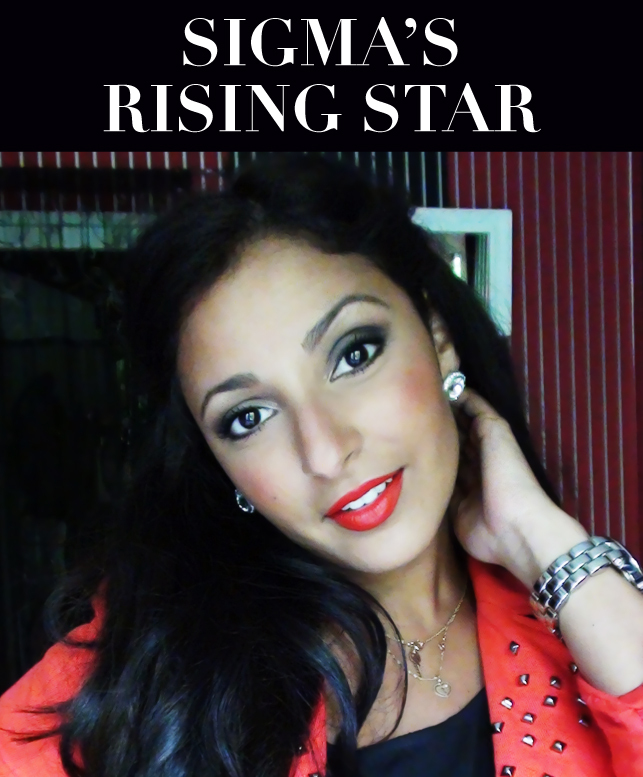 Sigma Beauty Affiliate Program: Meet our new Rising Star! The Sigma Rising Star for the month of July is Sanaa! Known by the username of Sananas, Sanaa is an up and coming YouTube guru from France who loves all things beauty and fashion. We were very excited to chat with her and learn a little more about her life. Take a look at her interview below! Sigma: You were recently on vacation—what items were in your travel beauty bag? Sanaa: I visited Turkey, which is a beautiful country, and took my whole room with me! No, I’m just kidding, but it was very hard to choose like always. In my travel beauty bag there are a lot of things that I almost never use (like most girls…) but my essentials are bright color lipsticks and some blushes. I never forget my mascara and my black eye liner. When the summer arrives I can’t live without my tinted cream from Nars which is very lightweight. I apply it with my favorite Miss Taylor brush from Sigma, and the F80. I always take two nail polishes: red and black! I know it seems strange but these two colors blend with all of my clothes. For my dark circles I never leave without my concealer and that’s it for the make up! Sanaa: I love all my Sigma products; I have never been disappointed. I really like the Bare palette and the new Paris palette which is magnificent and includes everything you need. The F80 and F40 are very essential for my every day make up to apply foundation and blush. For the eyes I love using the E55 to apply my eye shadow, the E45 for the crease and the E40 to blend. Sanaa: I start my morning off by washing my face using a soft cleansing foam and cold water. It makes me feel so good and it wakes me up! Then, I apply a good moisturizing face cream because I have dry skin, especially in the morning. I do not apply foundation primer because I don’t see a difference with or without it! After cleansing and moisturizing, I do my everyday makeup and that’s about it! Sigma: What is the best part about being a YouTube guru? Sanaa: I think the fact that many people from all over the world can exchange and talk together about something they really love. Thousands of people can share tips and advice with me, and everyone, which is just incredible. We share our passions--it’s like another world, and I love it. I’m very happy to help and exchange my opinions and interests on beauty and fashion. It’s an amazing and exciting opportunity that makes me very happy. Sigma: Have you ever taken makeup artistry classes or did you teach yourself? Sanaa: Never, but I would like to one day. It’s a real passion that I’ve had for a long time. I was very young when I became interested in beauty. Beauty and fashion make me so happy but I learned alone - just me, my People Magazine and YouTube! Check out this fabulous look Sanaa created using the Sigma Paris Palette! Sana is one of my favorite YT guru from France! Love her! this is my first time to see a beauty guru from France, interesting! She is! Thank you for reading! Thank you so much I'm really glad ! It's an honor to be here :) Thanks a lot !